Sunday was my birthday and it was my first one in my new home. It felt weird hosting my own party the day before in my own house, but it was amazing waking up next to Liam, spending my whole birthday with him then settling down in our home knowing that this was now a permanent thing and that unfortunately he is stuck with me. 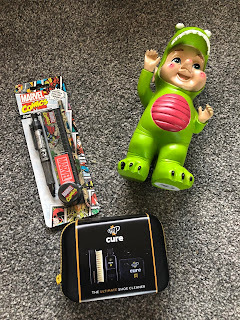 I was lucky enough to be very spoilt by everyone and here is what I got. Liam surprised me with a bunch of flowers, teddy and a box of chocolates ( I forgot to take pictures of these though) and then didn't let me spend a penny whilst in Leeds. 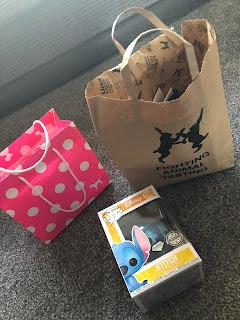 He treated me to my dinner and got me this super cute glittery stitch figure for me to add to my collection. 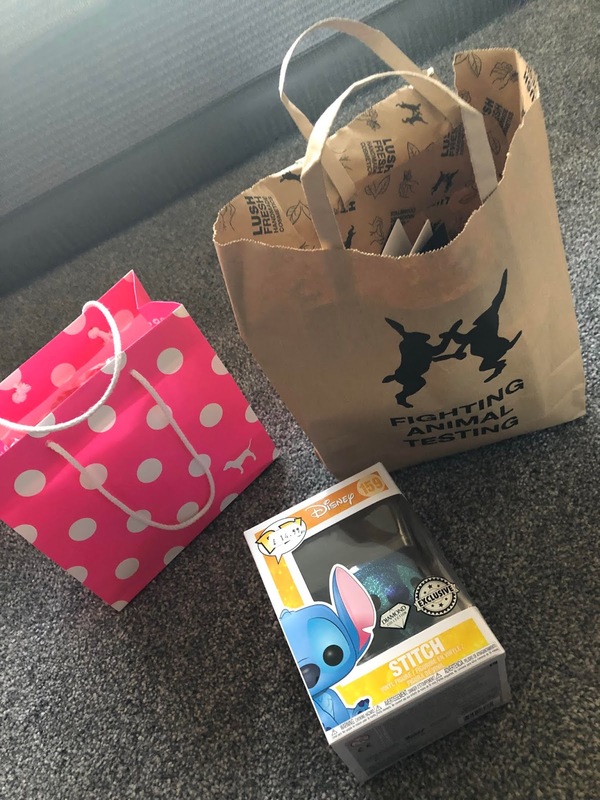 He also treated me to a few bits from Victoria secret, I love the stuff in there but only buy things when I have been to Leeds as I hate buying online. Whilst in there I saw some lovely clothing that I really need to loose weight and then buy. He also treated me to a few bits in Lush, the turtle and the avobath bath bombs. He was disappointed I only picked out 2 items as he apparently wanted to get me more. My sister got me this cute little Marvel stationary set which is perfect as I love stationary but somehow keep loosing all mine. She also got me a garden gnome which will look perfect by the side of our pond when we get it done, it is a bit of a long standing joke that I am a t-rex due to my little arms so I am guessing she thought this would be a perfect fit. 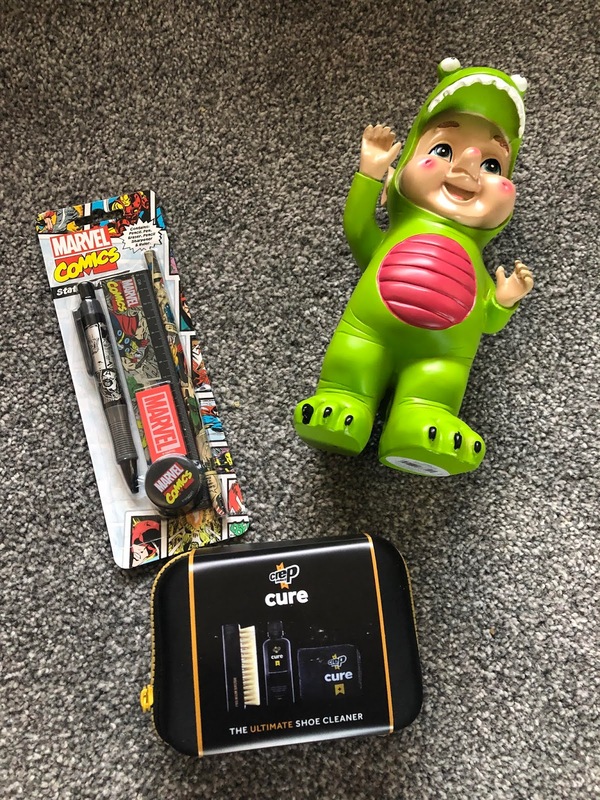 My auntie and uncle got me this Crep Protect cure set, I am hoping this will make me clean my trainers instead of me just going out and buying new. Another Marvel item I received was from my parents and it is this really cute tech case. 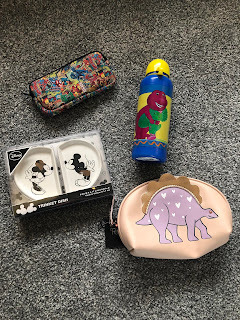 I will probably put spare batteries in here or power banks and cables then put it in the dinosaur make up bag they also got me which will probably end up being used as a bigger tech bag as I do have quite a bit. They also got me this Barney water bottle, I used to be obsessed with the show so apparently once they saw it they had to get me it. They also got me these trinket dishes which I am going to leave in the packaging until I get my dressing room sorted out. 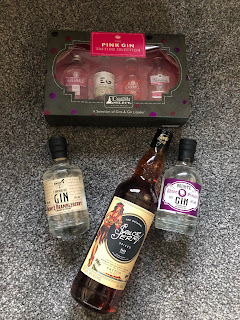 Liam's dad got me a set of mini pink gins which I really can't wait to get tucked into. 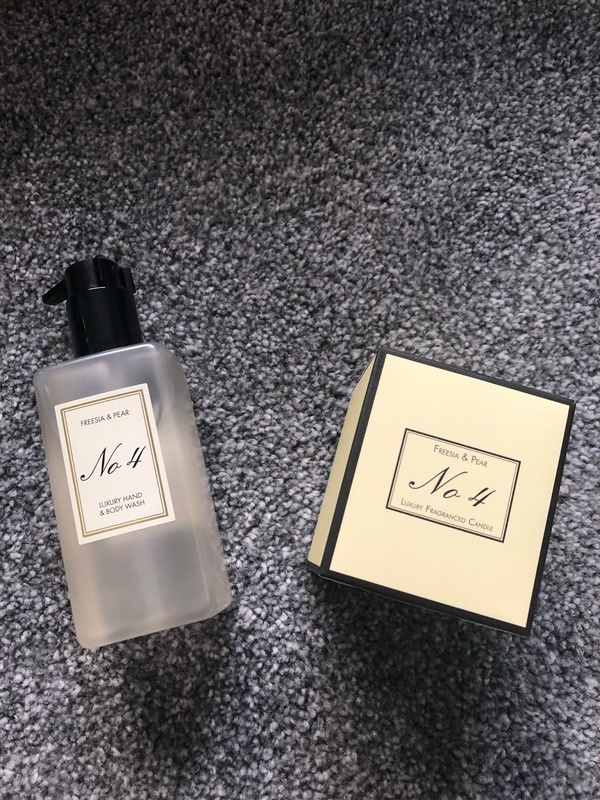 His mum also got me 2 fancy little bottles which I am sure wont last very long. Gin seems to be one of my favourites lately and the best part is I can drink it without getting a hangover. My nanna and grandad also got me a new bottle of Sailor Jerry, this is definitely one of my favourite rums at the moment. My auntie and uncle also got me one of the mini candles, and a matching hand wash. I have the other 3 scents and they are amazing so I am excited to try this one out. I think these will finally be going into the bathroom. 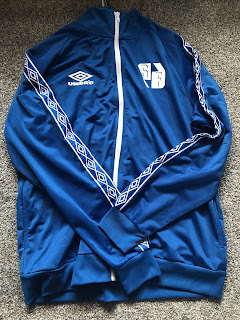 Umbro is slowly creeping back into my wardrobe, they are really doing some nice pieces, I am hoping their collab with Ashlyn Harris comes to the UK too. 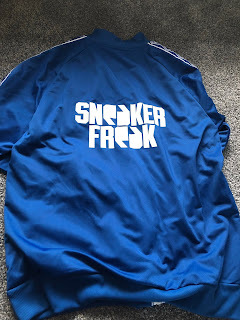 My auntie and uncle got me this jacket which is a collab with Sneaker Freak. 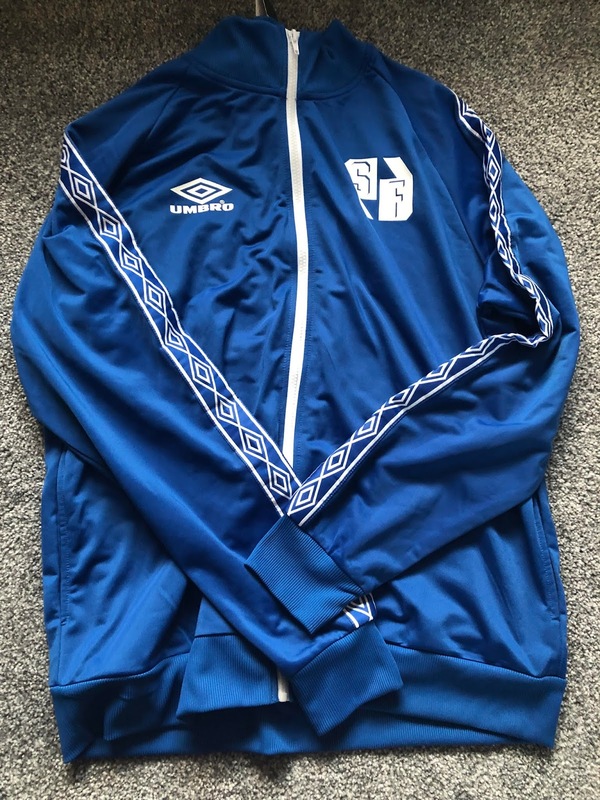 I fell in love with the colour of this and the detailing on the sleeves, along with the bold print on the back. I may have to do a styling piece on this soon. 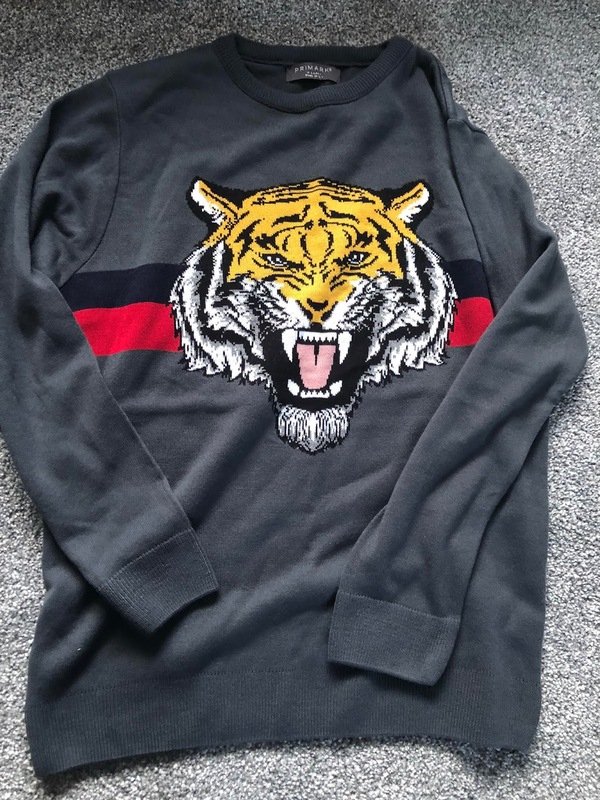 They also got me this super cool tiger jumper. I wanted one of these as it is a bit of a smarter take on the Kenzo one I have had my eye on and was a lot cheaper. 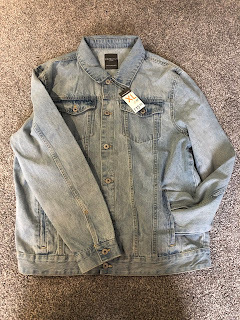 It is really good quality and looks like it is going to keep me nice and warm, plus it is a perfect fit. I am sure I will also have a styling piece on this too as I have the perfect look in mind. The same as they do every year my parents got me the new City shirt. 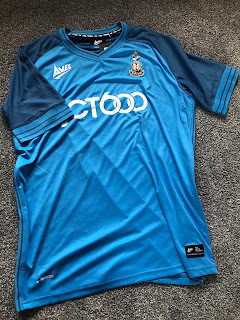 I had to go for the away shirt this year as I just love the colour of it, I have found it is better quality this year and a lot better fit. I am excited to wear this Saturday. I also got £60 from family members which is getting put away to go towards my PC fund. So there you have it that is what I got for my birthday. I cant wait to try these new gins and wear my new clothing.